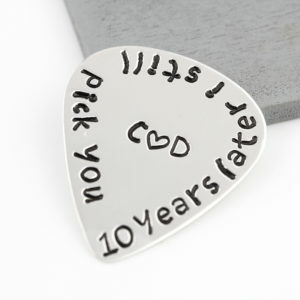 This Stunning Guitar Pick makes the most gorgeous gift. 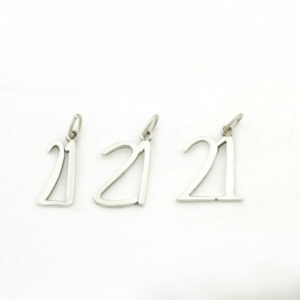 Each pick is handcrafted from 925 Sterling Silver by our skilled jewellers. 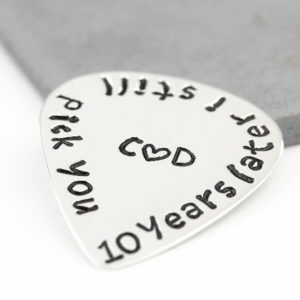 The guitar pick measures 28 x 32mm, which could also make a perfect pendant for jewellery. 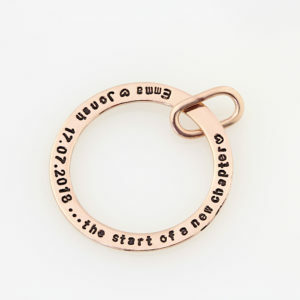 You can also personalise this item with our hand stamping services which comes in two font sizes 1.5 & 3mm. 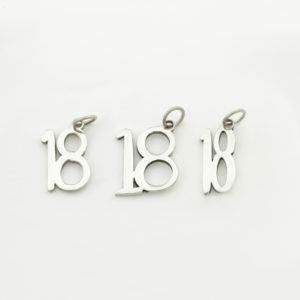 We have used the 3mm font size in the product picture as reference. To my son, love mom. To my son, love dad. 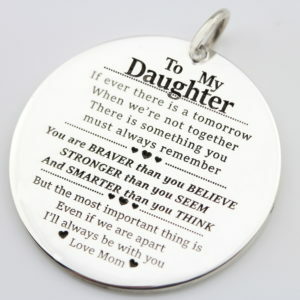 To my daughter, love mom. To my daughter, love dad. 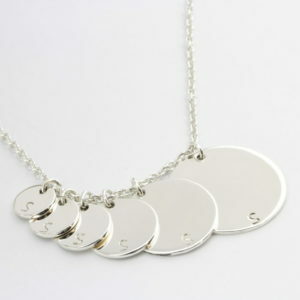 Our Sterling Silver Bold Coins are handcrafted from 925 sterling silver. 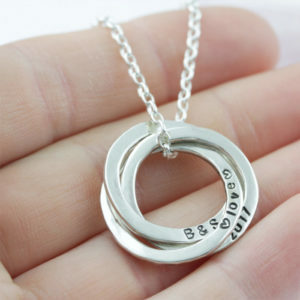 The coins come in various sizes from 6mm to 25mm in diameter and are 1.2mm in thickness. Each coin can be personalised on the front and back with our engraving or hand stamping service which comes in character sizes 1.5mm, 3mm, 4mm & 6mm, personalisation options are below. 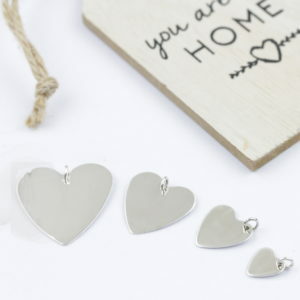 Description : These stunning hearts come in four various sizes. 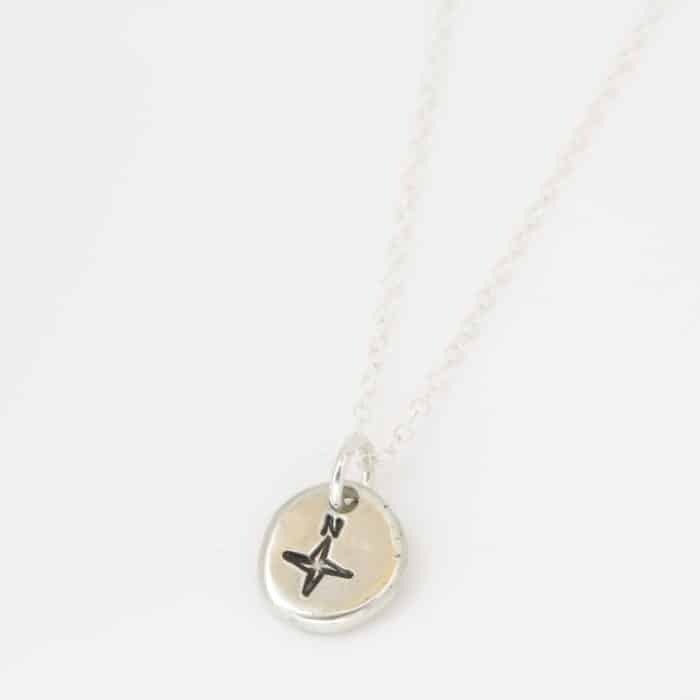 Choose if you want your heart to clip onto your chain or slide over, all our hearts can clip or slide over both our chain options. 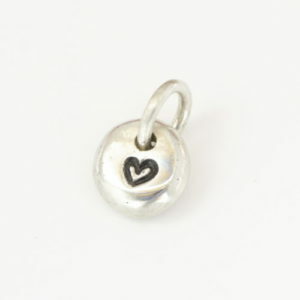 Handcrafted : These hearts are handmade from 925 Sterling Silver slight variations might occur, allow up to 3 days handcrafting time. Presentation : Each of our items are presented against our Silvery product card, gently resting on wood wool in our elegant Silvery gift box. 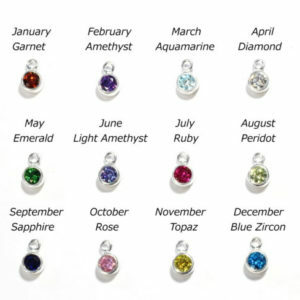 Description: The Sterling Silver Pebble is hand-cast and crafted into the resemblance of a river pebble. Each pebbles shape will be unique and may not look identical to the displayed product. 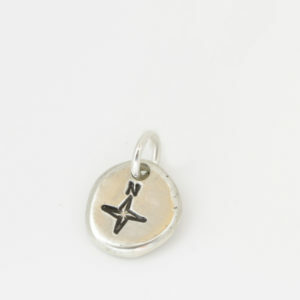 This stunning Africa Collection Charm is handcrafted from 925 Sterling Silver. 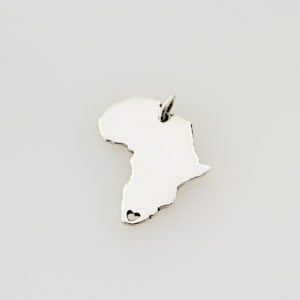 The Africa pendant measures 10mm x 9.5mm and 1.2mm thick. 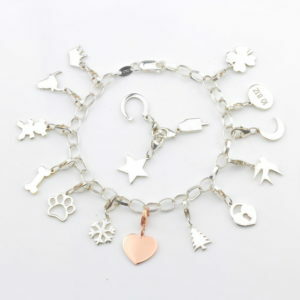 You can select to have this charm with a clasp like in the product picture or with a jumpring. 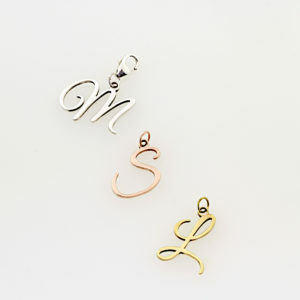 Choose to have the charm brushed or polished & if polished you can then choose to have it plated in either 14kt rose gold or gold vermeil!